Because of the vastness of sounds we experience, no reliable automatic general-purpose audio tagging systems exist. A significant amount of manual effort goes into tasks like annotating sound collections and providing captions for non-speech events in audiovisual content. 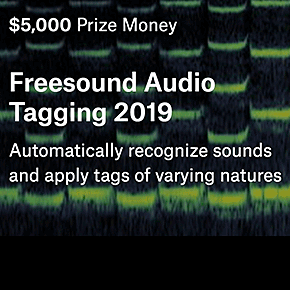 To tackle this problem, Freesound (an initiative by MTG-UPF that maintains a collaborative database with over 400,000 Creative Commons Licensed sounds) and Google Research’s Machine Perception Team (creators of AudioSet, a large-scale dataset of manually annotated audio events with over 500 classes) have teamed up to develop the dataset for this new competition. You will leave IdeaConnection, and be directed to a 3rd party website.